Insights With Valerie Renee | Psychic Medium in South Atlanta, Ga.
For a few days now I have been prompted by spirit to write a little on a topic I did not expect the prompting on. The reason is because I know this topic is one I am to write about in a book as well. The book will, of course, be in way more detail, but for whatever reason I was prompted that there was someone who needs to see some of this now, and can not wait until my book is written. Since then, people have said many things that have been clear pushes by the Holy Spirit to get me to move on writing this blog. Today, an old friend from my high school / college years, who I used to spend much time debating the Bible with felt the prompting of the Holy Spirit to question me as well. Feeling inclined to explain things to him, led to lengthy responses, which I realized were the very blog I needed to write. And so, I write this blog today, using much of what I wrote to him, and others. I hope it reaches those God intended it for, and helps them on their path. I have been questioned by many with a firm belief in Christ as to why I would choose to be a medium. These people usually end up telling me that what I do is witchcraft. I would like to start off by addressing this, before I go into the things I discussed with my friend. I am not a witch. I do not conjure spirit. The spirits simply tend to come to me, and so do the people. I pray to the God I always have, and have a very strong faith in Jesus Christ and the Holy Spirit. 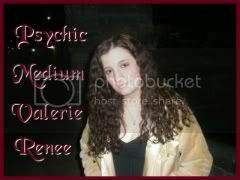 I pray to God and ask only that his will be done, before I do anything to help anyone as a psychic, healer, or medium. 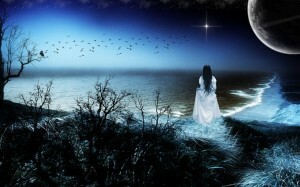 I have the gift of healing and the gift of discernment of spirits. Still, I must test the spirits that come to me, just as the Bible says we must. 1 John 4:1. I must do this every time, because the devil is so deceptive, he can pretend to be anyone of the light. But a fallen angel or demon can not profess the name of Jesus without anger surfacing. So, when they are tested, they are unable to fool us. It is funny that I have had many Christians tell me that I can not be a Christian if I am a medium, because they claim it is witchcraft, but the witches in turn, have told me that I can not possibly communicate with the spirit world if I believe in Christ. So, where do I fit in? Most the time, I don’t, but I am at least following God’s commands to me, and I believe in Christ’s love and divine mercy with all my heart, therefore, I am a Christian, whether others believe I am or not. I would say to be forwarned though. There are people with spiritual gifts on both sides. So, while we use the term medium for all of them in modern times, there are good mediums who do their works by the power of the Holy Spirit and in the name of Jesus Christ, but there are also mediums who are working for the other side, sometimes not even aware that is what they are doing. Those mediums are led by evil and tend to be the ones who claim all is well and that there is no devil or evil does not exist. They fill us with pretty lies and deceptions, much like the devil, whose greatest achievement has been to make people believe he does not exist, so they could be led to sin easier. The fallen angels are very real, and we are at spiritual war with them. They do not play fair and they do not play honestly. Always be cautious when a medium tells you there is no evil, because evil is very much alive. The fallen ones (demons) were cast down by God when they sided with Lucifer (the devil). They chose a full seperation from God and the light. Therefore, they do not get the opportunity we do to come to this earth and learn lessons, and grow and become more like God. When they turned away from God, they lost this opportunity, and so, they are angry and want to keep as many of us as they can from our own spiritual growth. They will stop at nothing and use any form of trickery they can to make that happen. The fallen ones, simply want to keep us from returning to our Heavenly Father. They want to make us more like them, by causing us to lose our connection to God. They will do this in many ways. People seem to believe when you die that you simply just go to “Heaven or Hell”, but judgement day has yet to come, so which kingdom of heaven we will go to has not been decided yet. Hell is more of a lack of being with God, or having a connection to God. There are spirits who suffer this terrible fate, and do not have to, but all of them have chosen to do so, and not because God does not want them. God always wants his children back. Some hauntings are in fact, spirits in hell, because they have not moved on to the light. Some of them do not realize or understand that they have died. Those spirits, are in fact ones that can get out of their personal hell by moving on to the light, which is something I try to help many spirits to do. Hell is in fact, to be disconnected from God. When we are here in these bodies, we have that light within us. That light is God, or a part of God. It keeps us always connected to God in life, even when we, as silly people, choose to reject him. It is why we can never feel completely alone. Imagine death and losing that light though, and not returning to the source of that light, God. Imagine not feeling his presence, and not being able to sense any souls that are of the light. It is a painful existence for many lost souls. My reason for getting involved in the paranormal is to help those souls. Sometimes, the devil tries to get control of people often by getting them to kill themselves, because physical death is the only way to disconnect them completely from God. To get them to lose their light, and then block them from returning to that source, light, God. Suicide does not mean a soul can not return to God, but sadly, the same demons who will convince someone to end their life, often fight to keep those souls trapped, by not letting them go to the light. This does not mean God does not want those souls back, but the longer the soul does not go to the light, the more difficult it is for any soul who is of the light to get through to that soul which has not moved on. I am often used as a go between, because I can communicate with both sets of souls, even though the souls in darkness do not recognise the souls in light, and again, I have been given the ability to help those souls get back to the loving arms of our Heavenly Father and regain their light. I am simply a go between or a translator for many sides, because while we are all right there, we are in different dimensions, and somehow, God has given me the ability to communicate with all of them. I have guides who teach me from the other side, and they often reference the Bible in their teachings. There is much in there that people just do not pay attention to. There is also the Book of Mormon, which I know to be true. Though I do not label myself Mormon for many reasons, I know the Mormons probably have more of the truth than most at this point based on my teachings from the spirit world, which are very close to much of Mormon theology. Until Judgement Day, we are learning, whether here or on the other side. We can serve God as Angels, but we are all God’s children, and therefore aiming to be more like God, not just a servant. Just as we still love our children when they make mistakes, so does our Heavenly Father love us. As a medium, yes, I can indeed communicate with the dead, and help loved ones to be in contact. This can be healing, and often lead to both the spirit and the person being able to move on. Often times, spirits do not go to the light, because they are concerned with the grief of their loved ones here on earth. But again, they do not have that light anymore, so they are very alone, until they choose to return to God. So, spirits grow weary and want to go home, which is exactly where Heavenly Father wants them. Some mediums are in fact evil and just acting on some other authority, and they too are spoken of in the Bible. I am acting on the authority of my Heavenly Father, and my spiritual mission is to help as many I can, both still living on earth, and those who have already died, to return to our Heavenly Parents. Sometimes those readings help, but there is so much I have to do outside of those readings. We have a Father who loves us and in great mercy, sent Jesus Christ for us. The story of the prodigal son was told to make us understand this. Our Father wants us back, no matter the mistakes we have made. We came here to learn, but we will sin and make painful mistakes along the way. God gave us the commandments, just as we give our children rules, to try to prevent pain. But as parents we know that our children will sometimes learn a bad lesson by breaking those rules anyway. We too, sometimes break our Heavenly Father’s rules for us, given to help us avoid pain. It is important that we know that just as we still love our children when they mess up, and can forgive them with unconditional love, our Father in Heaven has that same unconditional love for us. He wants us to see that, and he always wants us to return to him, having seen the error to our ways. Sadly we live in times where the devil is in everything. The spiritual war for our souls is stronger than ever. Those who are fallen angels lead a battle against us and our Lord, because they were cast down, and therefore, will never have bodies or the ability to grow like we do. They chose to turn away from God, and lost their chance to be as we are, with that light, and that strong connection to God. Since they can never have that, they are filled anger and hate, and they try to fill us with fear that will lead us astray to anger and hate as well. The fallen ones have put things in the mind of fearful men that have led to a world where sin surrounds us. God simply allows this sin, and our free will to sin, because we need to learn our lessons. It is important to our growth and becoming more like God. Again, it is sort of like how we might warn our small child that if they do something, they will get hurt, but then we let them continue doing it when they do not head our warning, so they will learn their lesson when they get hurt. We then lovingly scoop that disobedient child right back up into our arms with love. God allows us to exercise our free will in hopes that we learn from our mistakes, and in the end, he waits for us with opened arms. I hope that anyone who reads this understands. It does not matter what you have done, or how bad you feel about yourself for the sin you have committed and the mistakes you have made. Do not fall for lies of the devil. No matter what you have done, God still loves you, and God will always be there for you. 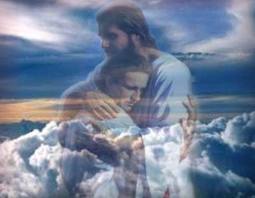 He sent his son to die and lead the way to Heaven so you would have a chance for eternal life. Please accept that chance and look to the light when the confusing time of death reaches you. When you die, you will be able to return to the light and to God. God knew you before you were born and knew you would make mistakes along the way, but God allowed you to make those mistakes, hoping you would learn. In the end, you are just like everyone else, no matter what the sin. Please, let God into your heart, because that is where he truly belongs. How true is this quote to so many of us? Now don’t get me wrong, there are REAL MEN out there, who love and respect their women with all their heart. And thank God for those good men…But this Blog is inspired, sadly, by the men who seek to disrespect, control, and change their women. I hope that this blog will help to clarify any confusion felt by ladies who are being disrespected in their relationship. At the start of a relationship, almost any man will come off like prince charming. He’ll seem totally into you, and he might even act like you are the only woman in the world. You assume he respects who you are, because he acts as if you can do no wrong. You tell him all about who you really are and what your goals in life are, and he seems to really like these things about you, and even respect your unique qualities. But then, as time goes on, something changes… You don’t know how you got there, but he no longer seems to like the things about you he once did. Maybe he complains if you aren’t wearing make-up. Maybe he no longer wants you to wear make-up. Maybe he wants you change your hair. Or maybe it goes even deeper than changing your looks… Maybe he no longer wants you to work in the field that has made you happy, or maybe, he wants you to stop working altogether, and tend only to his needs. Or maybe he is one of those men who already has children, and one day he decides you need to stop working and totally change your life and who you are to take care of his children. You might already have children too, and have a good system that allows you to work and care for your kids, but that does not matter, because he wants to change you for him and his children. In this transaction, he gets to go on doing whatever he wants as usual. No change will come from him, and if he has children, no change is expected of them either. But you, you are expected to completely shift who you are to fit his mold for you. The point is, whatever the situation, he wants to change you. The very things he claimed to love about who you are before are no longer good enough. With a man like this, you might remind him that these were things he used to love about you. You might tell him changing who you are is not an option. You might even tell him that you need him to love all of you again, not just parts of who you are.Sadly, in return, the reaction of a man like this tends to be to attack you more. Whatever he wants to change about you will become a constant battle. He will make it clear he does not respect you for who you are. He might taunt you, or tease you to humiliate you into giving up on parts of yourself. In the case of men with children, sometimes, they even employ their own kids to join in with disrespecting you. Sometimes, a man like this will even accuse you of things you would never do, like perhaps cheating on him, when you are not right there with him, because you are working, or maybe enjoying an outside hobby without him. This type of man might even try to damage your reputation, or cause you to lose your job, so you will not be involved in other activities outside of him. In the worst cases, a man like this might become physically abusive and try to beat a woman into submission. These are all tactics used to get you to change who you really are. And make no mistake, these are all forms of abuse. This is not a way to live, ladies, and you do deserve better! According to John Gray, Ph.D. – author of “Men Are From Mars and Women Are From Venus”, every woman has 6 basic needs in a relationship. The things a woman needs from her man are caring, understanding, RESPECT, devotion, validation, and reassurance. In my personal view, a man who has no respect for you will not give you any of the other things listed. We absolutely need respect from our men as women. If they do not respect us for who we are, then there really is no true relationship. For how can you truly relate to anyone who can not even respect you for who you are? Many times, I have talked with clients who become fooled or brainwashed in the process, as their men show them continued disrespect, while putting them through complete emotional turmoil. They start to think maybe they deserve it, and maybe something really is wrong with them, because that is what their man wants them to believe. They try to do anything they can to hold the relationship together while the man makes them feel constantly threatened of the relationship’s end. Sometimes, a woman will find herself giving up everything she holds dear, just to keep a hold on a man. She could even lose family and friends over it. It is hard for those who love her to watch her repeat this pattern of being involved in something so unhealthy, with someone who clearly does not have her best interests in mind. Sometimes, the relationship will become so rocky with a man trying to change you that there may even be breaks or break ups in the relationship. He might come back nice and sweet, like the prince charming you knew when you first got together, but it does not take long for that same level of disrespect and desire to crush a woman’s spirit to come back full force. I want all the ladies who might be in this type of situation to understand that you can get out. You have worth and you have value in this world. If there is something you have a passion for, do not let anyone change that, because it is probably an important part of your life path. You are you, and you should love and respect yourself for that, whether a man does, or not. Also, understand that this type of man is a narcissistic personality with deep imbedded control issues. Narcissistic tendencies are actually more common than most people realize. Nothing is wrong with you, except that you fell for it out of a desire to be loved. Do not allow anyone to crush your spirit. Respect yourself first. You do deserve that. You deserve a man who will love you for who you really are. You deserve to be happy, and you deserve to be who you truly are. If you think you might be in this type of relationship, and need counsel on that, I am here. Please, give me a call. It’s not always easy to accept, but I’ll be there to help you through and help you to understand. If you are confused, and need some help with direction on your life path, I’m here. Please, give me a call. I can help you through the fog and through the challenges back to who you really are, and gaining your own self respect. 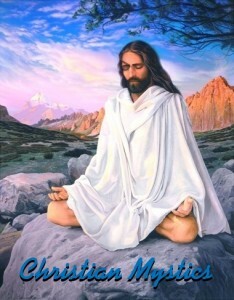 I was starting a group on meetup.com called Christian Mystics, hoping to get a group together to study the works of Edgar Cayce and other great Christian Mystics. I was not sure why, but with only 14 members, it did not seem to be catching on. It seemed it wasn’t doing well, so I decided to ask the students in my psychic development class if they had seen the group and what they thought. Some had joined it, and some did not. They all seemed to be uncomfortable with the idea of mysticism, which really surprised me to hear. It seemed many did not have a really good understanding of what Mysticism, or for that matter what Christian Mysticism was. While I decided to close the group down, and start with a fresh approach, as my students beckoned me to do, I still hope this blog can help explain a little about Christian Mysticism. Christian Mysticism refers to the development of mystical practices and theory within Christianity. Christianity, is the firm belief in Jesus Christ. Mysticism is the knowledge of, and especially the personal experience of, states of consciousness. In mystical practice, an individual aims to achieve levels of being, beyond normal human perception, including direct intuitive experience and communion with the divine. This can most often be reached through active prayer, and passive meditation. The Christian Mystic knows that this includes connecting with Our Heavenly Father, His Son (Jesus Christ), or even being touched by the Holy Spirit at any given time. Mysticism is not an easy spiritual pathway, because the mystic must first see the true self in order to truly know God; the ultimate, eternal source of love. True spiritual communication is only achieved when one learns to break past all the masks and veils of the world to know their true self, and to love their true self. In knowing the self, the Christian Mystic finds a stronger understanding of the life and death of our Savior, Jesus Christ. The Christian Mystic can not let their faith in God and in Jesus go, because it is important to who they truly are as children of God. God’s undying love for all of us, and the sacrifice of his son are at the cornerstone of everything we do as Christians with Mystical Abilities. Without a firm belief in Jesus Christ, and the Holy Spirit, many of us would not be able to function as Christian Mystics. The Spiritual Awakening Process is one every mystic must face, leading to self-realizations, self acceptance, and learning self love, in order to truly connect with the divine. Spiritual Awakening leads to living a mystical life, because once we know our true selves, we always want to improve and stay on our path, both as spiritual teachers and students. We become aware of our good points and bad points, and we want to make them better. It is not an easy process, but it is one every mystic must face. Mysticism exists within all major religions. It has nothing to do with magick or witchcraft. In reaching the higher states of consciousness and connecting with the divine, the Christian mystic emerges with a greater understanding of God’s sacrifice for us, through His Son, Jesus Christ. And the Christian Mystic is left with a strong understanding that they too must sacrifice for the greater good of the world. (For anyone intestested in joining the new group with the new approach, please go to Jacksonville Area Search for God Study Group and join from this link. I also run another group focused on meditation, healing circles, and psychic, empathic, and mediumship development called Spiritual Awakenings, which all Jacksonville Area locals are welcome to join as well. About 13 years ago, I suffered a terrible loss. I was 6 months pregnant, and began having pains, as if I was in labor. I went to the hospital, and they said my baby no longer had a heartbeat and I was losing it. After several days of labor pains, and nothing actually happening, my body could take no more, and a dialation and evacuation / extraction procedure was performed to remove the child that had died inside me just days before. It was not my first miscarriage. I had lost many early on pregnancies (about 6 to 8 weeks), and even lost twins at 4 months. Still, I thought I was homefree by the time I was that far along in the pregnancy. Even though, I had many losses, the doctor said that since I had one healthy child, there was no reason I could not have another. I thought that was the case, and then I got sick. During the pregnancy I lost at six months, I was sick with pneumonia. I do believe the illness and my own body trying to fight it off may have hurt my baby, because I only got well after the pregnancy loss. I was at the doctor the day before the heart stopped and the ultrasound showed a healthy baby. The next day, the heartbeat was gone. This loss was so devastating. Even the Doctor who performed the D and E cried. For me, it felt like the end of the world. I decided that day I was done trying to have children, and that my daughter would be the last one. About a week to 2 weeks after the loss, I was just sitting quietly, thinking, when I heard a voice ask me, “What would you do if you were given a child who was not what is considered normal?” The voice came from spirit. Even my response seemed intuitive, because I did not even think about my answer, when the thought came out of me, “I’d love him.” Yes him. Somehow, I knew I would have a boy. Despite my doctors belief that I could not possibly be pregnant so soon, it seems I got pregnant during a time that is really not considered normal. (2 weeks after the loss of my baby I became pregnant again.) I had dreams that would reveal problems with my son the whole pregnancy. Many told me I was just afraid, because I had lost so many children. No, I was not. I knew this boy was coming, but that he would be different, and I even gave spirit permission to allow this child to come through me. (It has been revealed to me many times that my son is here for my mother’s growth. Had I not agreed to have my son, he would have come through my brother and his wife, because this soul, and the special needs had to be here, for my mother’s sake. Not only have I been told by spirit, but my mother can feel a different connection to my son and knows for herself.) Maybe the losses I suffered made me more willing to accept this special child, or maybe I would have anyway. I am not sure. It simply happened as it happened. Jonathan was always behind physically, but he did start talking at about a year old. By 18 months, he said some small sentences and he knew his body and face parts. He could even tell me he loved me. Then, one day, around 18 months, it started disappearing. I was grasping at straws, trying to reteach him words he already knew. I could not figure out what was happening to my little boy. He still could not walk by that age, and now he could not talk either. By 22 months, he finally took his first steps, but the words were completely gone. Stimming became a regular practice at this point for Jonathan, and getting any eye contact or response to his own name became issues as well. Just before age 3, at 33 months, Jonathan received the diagnoses of broad spectrum autism. At that point, we already knew it was severe. He had severe food allergies, severe autism, and no speech. For a severe case of autism, Jonathan’s behaviors were classic textbook behaviors, except for one thing. 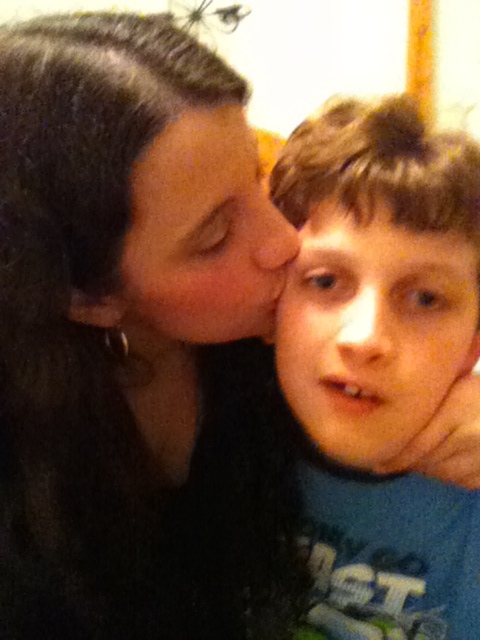 Jonathan was always affectionate, while many children on the spectrum lose or do not have the ability to show affection. Jonathan might have spent a lot of time hiding away from everyone as many autistics do, but he would come out if he could get affection. When you have a child like Jonathan, you spend so much time trying to get services and help, hoping something will work, and you might hear words like “I love you.” again, but nothing happens. Nothing ever seems to work, and the smallest step forward becomes something to celebrate. You cry tears, because you see other children your child’s age, and you know your child will never be able to do the things they can, and your heart just breaks. As he got older, he became more aggressive and his autistic fits would become more and more violent. This is very typical with nonverbal children, because they can not verbally express or vent their frustrations. Also, think of how frustrating it would be to want something and not be able to get your needs met, because no one understands you. Intuition would become my saving grace on many occasions in dealing with my son’s autistic fits. However, there have been times when I could not figure out how to calm Jonathan down, while he was busy hitting and kicking me during a raged fit. 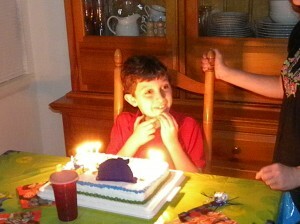 Jonathan is now 12, and not much has changed, except that I have accepted he is as he is. I do not cry when I see children his age anymore. I simply love my son as he is. However, he is almost my size now, and as he has continued growing, my fear of how bad he could hurt me has grown as well. As a single mom, I have no real help with him, and I have often wondered how I would deal with it, because there have now been a few times he has hurt me. He has also taken on the habit of doing things to get negative attention, instead of positive, and sometimes, when he is reprimanded for the negative behavior, he will then go into an autistic fit as well. Thanksgiving weekend was an eye opening weekend, and maybe even a little bit of an awakening weekend for me. My children were off from school for six days straight. During that time, my oldest and my youngest would want to go off and do their own thing a lot. (My youngest is also autistic, but likes to be more independent. He is a different child, and his his autism is way less severe.) Jonathan however, was like my shadow. He wanted to be with me all the time, and I let him. He seemed to want so much affection during that time. I gave it to him. He drank the affection like water for his soul, and I could feel changes happening in him. For him to spend that many days straight at home with no autistic fits seems almost impossible, but there has not been one ever since. It was during Thanksgiving break that I realized I do not have to worry about my son hurting me anymore, because now I realize what must be done to avoid that. I had the answer all along. Deep down, I knew the answer just before he was conceived. I was asked what I would do if he was mine, and my answer was that I would love him. With that answer, he was given to me. That answer was in fact, more intuitive than I even realized, because love was the answer the whole time. All the therapies and programs in the world have not done much to change him. Nothing has changed him a lot. I get the best out of him through loving him. The more love this child receives, the better he is able to do and the better he is able to cope with his autism. That beautiful soul is not here to learn great lessons like most of us, but rather to teach great lessons with his presence, and that lesson he is teaching is simply to love! While on Facebook tonight, I came upon a post where a gentleman wrote about a typical problem among paranormal investigators. The problem was related to how teams often get fabulous evidence that can not be explained away, only to have others say and do anything they can in an attempt to discredit that very real find of paranormal activity. I, myself, have been involved off and on in the paranormal for many years. What I have seen through my years is that when you have the the absolute most awesome evidence, people will always try to claim it is not real. 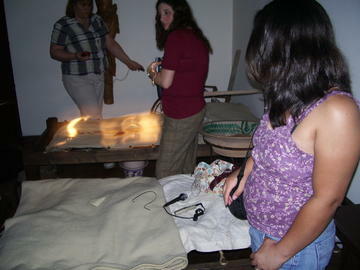 I found myself in this situation, as soon as I became involved in the paranormal. When you get something really good, so many people try to discredit you. I do know what is and isn’t real, and even though I am also a medium, I always debunk dust, reflections, pollen, moisture, etc. with a scientific approach. When I first became involved in the paranormal, I had a very good teacher who explained everything about false positives to me. There are still some finds that can never be debunked, though they are fewer and farther between. I had to tell the guy who started the thread on Facebook that many are touched by the green eye of envy, and that is part of why paranormal people try to debunk really good evidence. If they have not gotten a capture as good, they often do not want to believe another team did. But people should consider there are many circumstances involved. A very haunted location could be active one night, and inactive the next. As the thread on Facebook continued along, another gentleman pointed out that people will believe what they want to believe. If you believe you always will, and if you do not believe, you never will. I had to disagree with this idea based on a very interesting night I once experienced at the St. Augustine, Florida Spanish Military Hospital. A few years back, we had a guy join us for a large group investigation through meetup.com, because his wife wanted him to. She had been involved with several groups through there for awhile. I remember him laughing at the idea that I was a medium, and laughing at her for being convinced of my abilities. He also laughed at the very idea of paranormal investigation, and set out to prove to her that it was all false and a waste of time. He was a total non-believer of the whole thing…Until that night. He followed me everywhere taking pictures. He said point blank that since I was the medium, and claimed things were around me, I would be the best one to follow to prove his point that none of this was real. I was not offended by it. As a matter of a fact, I told others that what he was doing was likely to be the best way to get evidence on this type of investigation. With so many people, there was really too much noise for good EVP evidence, so our cameras were our best friends. There came a point during my walk through where I felt this energy at a bed, and pointed it out, asking the group to take pictures. He was right there, and got a shot neither I nor anyone could deny. (The shot is at the top of this post.) Others brought over the EMF (Electromagnetic Field) Meter and temperature gauge which both spiked high numbers at this point then as well. We clearly had something. The Spanish Military Hospital in St. Augustine kept pictures of that shot and started charging people to investigate after that picture. As for the non-believer who made fun of me, he was a changed man after that night. He now believed. I received very surprised apologies from him, and his wife was thrilled. He and his wife became so into the paranormal that they decided to start their own paranormal team. He then had the para-bug too! So, as you can see, I have witnessed a non-believer transformed. Do you believe? Many who come to my website may not realize that I am the mother of 2 autistic sons. As a psychic medium, I have often times had other people say that if I was psychic, I would have known how my kids would be, and would have chose not to have them. But I did know, and chose to have them anyway, because God had a plan for these souls to be here in this way. I was actually asked by an angel before my first autistic son was conceived, “What would you do if you were given a child that was not what was considered normal?” My reply was simply, “I would love him.” Yes, I said him. I just knew he would be a boy, and he was. You see, we plan for so many things in our lives while still on the other side of the veil, before we get here. There are lessons for many to learn through my children. Everything in this world has a purpose and it would be selfish of me to not allow these dear souls to come in, just because I might face some challenges with special needs children that others do not have to. By replying that I would love him, I was giving my permission to be given this child. The timing was strange, as I had many miscarriages, and had given up on having a second child, but at an almost impossible timing, I ended up pregnant with my son Jonathan. I would spend the rest of my pregnancy having dreams about Jonathan and just how ‘different’ my son would be. Many would tell me I was simply scared, because I had miscarried so many times, but I knew that was not the case. When Jonathan was born, however, everything seemed perfect. He seemed normal and healthy. He scored higher on the Newborn Apgars than any of my kids did, including my always advanced for her age, genius I.Q. daughter. But as time went on, Jonathan seemed very slow on his physical development. He did not sit up alone till he was about 10 months, and even worse, he did not walk till he was almost 2. Something did not seem quite right physically. At about 13 to 14 months, Jonathan seemed to finally be taking off with his speech. Learning new words every day. Telling me things like “I love you”. But then, at around 18 months, something strange happened. Everything I taught him, everything we worked on was disappearing. His language was disappearing. I would grasp at straws trying to teach my son things he already knew and realizing they were just simply gone. It was like part of him was gone as well. I could talk to him, and sometimes, it was as if he was looking right through me and I was not even there. From the loss of his words on, he started showing more and more strange behaviors. He would try to spend time in corners away from others, he would make strange, repetitive noises, he would stare at his hands for hours, as if they were the most interesting thing on this earth, an activity known as stimming. I would call his name again and again to get his attention, and he would not even look at me. He would wake us up late at night, laughing uncontrollably for no apparent reason. I did not understand what was happening to my child and his doctor at the time was so bad, he kept telling me that my son would catch up and nothing was wrong. I knew better. Now this is probably the only time you will hear someone say they took their child who receives military benefits away from a highly recognized civilian pediatrician and brought them to military doctors instead, but that is what my intuition told me to do, in order to get my son the help I knew he needed. One appointment with a military pediatrician and my son was put on a waiting list to go to Mississippi for a full evaluation by a team of specialists. People wait forever for these appointments and travel from all over the country to be seen. We were told it would take 6 months to receive a call for an appointment, but we were delighted to get the call in 3 and be seen only 4 months later in Mississippi. A day had passed just before changing Jonathan’s doctor where I saw a movie with an autistic child. I do not remember the name of this movie, but Valerie Bertinelli stared as the mother of an autistic boy in it. The performance of the boy in this movie was very well done. 5 minutes into the movie, I was in tears, because while the boy in the movie was supposed to be much older, I finally knew what my son had. It matched. He had autism. I immediately got online and started looking for any and all information I could find on autism. So, the day came to take my son in for his evaluation with an extensive panel of doctors, therapists, psychologists, geneticists, etc. in Mississippi. One of the doctors point blank asked me what I thought might be wrong. I confidently told him that I KNOW my son has autism. After a long, full day of extensive testing, they came back to tell us that indeed, we were dealing with a case of Broad Spectrum Autism. Sadly, my son Jonathan is and always has been labeled as a moderate to severe case of autism. His speech has never really returned back to what it was before 18 months old and he has been labeled with speech apraxia. He is considered a non-verbal autistic. He has a very sensitive system, and suffers from high risk, severe food allergies as well. Now that he is 12, he typically says a only a few small words. There are many struggles with Jonathan, as he does many things others can not understand. At times he can be very destructive. He can make things tremendously difficult for his teachers, therapists, and family members. As he is beginning to go through puberty and change, he is becoming more aggressive at times, as well. There have been days I have wondered how I will ever manage to get through his entrance to adulthood. Still, with all of Jonathan’s problems through his life, there has always been something different about him. He has the amazing aura of the crystal child, containing every color of the rainbow. The theory on crystal children is that they have been sent here simply to teach unconditional love. It is believed these children are coming in more now than ever, because this is an important time, and we need to learn. Many of these children come in with special needs. These are not children here to learn a lesson themselves. They have already learned their lessons, and are much higher beings than the rest of us, simply here with a mission to teach others through their disabilities. Not only can I see that my son Jonathan has this special aura, but there is something in his eyes that I do not see in my other children’s eyes. All 3 of my children are beautiful, but when I look in Jonathan’s eyes, I get a sense of a soul with purpose that developed far beyond my understanding. The depth of that soul within is that of an angel, containing more love, sacrifice, knowledge, and understanding than most of us could ever imagine. I know it seems hard to believe, but I know that under the mask of autism there is a divine being, which I get to sense through my sons eyes. I was, in fact blessed, to be given the privilege to be the mother of one of God’s special angels, sent here to teach so many. Jonathan has started middle school this year, and is attending a local center school for special needs children. This is a big change for Jonathan, compared to the elementary school he attended before with his brother. Every time Jonathan faces changes in his life, it is more challenging for him, because he can not communicate enough to get an understanding of the changes. Professionals say that children like this are reacting, because they do not feel a sense of control in their environment, not being able to communicate about it and not really understanding what will happen next. So naturally, Jonathan is reacting as a typical non-verbal child would. He no longer has his brother there, who often would communicate for him, so this adds additional strain to Jonathan’s situation. Jonathan’s behavior has went down everywhere since school started. So, one morning recently, I received a prompting from spirit to pray for my son and with my son. This surprised me, because most the time, when I have tried to pray with him, he has shown no interest, so over time, I honestly gave up on doing it with him. Still, I always try to do what I am guided to, and so, I prayed with my usually, non-attentive son. It was a simple prayer, thanking Heavenly Father for the day ahead, and asking that he help Jonathan to be able to behave and cooperate for his teachers, bus drivers, and therapists that day. To my surprise, he looked up at me, and I could see he was truly listening. I ended the prayer asking for these blessings humbly and sincerely, in the name of Jesus Christ. To which, my son, actually responded for the first time ever, “Amen”. I was so surprised and so proud of him! There was a sense of calm in the room with us, and as I looked in my sons eyes, just as I had so many times before, I could again see that divine soul that is hidden beneath the veil of autism. I knew my son was going to have a fabulous day, and he did. He received a really good report from school, the aide on the bus said he behaved so well, and the speech therapist kept him way past time, and apologized for keeping him so long. She said he was so wonderful that day, and that he wanted to help her clean her office, so she let him. This was extremely different, because normally she brings Jonathan out early, because of behavior issues. Now, I am a firm believer in prayer, and clearly our morning prayer had made a difference. To those who are parents out there, never give up. Every child has potential for good things, no matter who they are. Focus your intentions toward God and he will be there for you and your children. After all, our Heavenly Father knows what it is like to be a frustrated parent, concerned for their child. He is the Spirit Father to all of us, as we are the parents to our offspring. We are here, as parents, learning to be more like our Heavenly Parents. It is only natural to ask our Heavenly Parents for help now and then, just as our children will often come to us for help. Jonathan and I will be touching base with God before he goes off to school in the morning from now on. There is always hope, and through God, that hope can be reached for all of us. Yesterday evening I was sitting and pondering for a bit about 2012 and all the theories. I have not had the strong feelings of death and destruction around 2012 that many have had. I have always felt more like bad things have always happened and will continue to happen. I have, however, often thought that an increase in bad happenings would be coming, but I do not feel like it all just happens in 2012. People involved in the technical psychic skill of remote viewing have been claiming the 2012 theories are accurate as much of their data has come to show these events will sadly, unfold. Remote Viewers have been known to remote view where their sanctuary for safety would be when the disastrous events unfold. Though I live in Florida, my sanctuary seems to be in Georgia. I am wondering if holding off on moving to Georgia was a bad choice and if I should be moving right now? Is 2012 going to be THAT scary, bad, and disastrous as so many imagine? I do believe there will be something going on with the sun. Something very different than before. The change is already in progress to some degree, but we have not seen anything yet. The suns changes will cause many other catastrophic worldly events as well; volcanic eruptions, earth quakes, hurricanes, tsunamis, you name it. They are all interlinked and can be effected by changes in the sun’s activity. So folks, stay inside more, do not go outside in direct sun. From what I gathered in my psychic data, there was no time stamp, which made me think, it is already started. It may get worse before it gets better, but something has changed drastically in the sun. Scientists say there are cool spots every 11 years and that they are not there this time. Something is seriously not right. Protect yourself from the change in the sun and it’s radiation. Years down the road, what is happening now could lead to more illness, more cancer, and more unnecessary death and suffering. For anyone who doubts the existence of negative forces, I would just like to add that once I realized this information was what something was trying to prevent me from receiving and sharing, and that I had to share this information, the power went out, and I started having online issues. It is as if there is a force that does not want me getting this information out. It might all sound strange, but please heed what I am telling you and understand, the amount of time spent in the sun could me more a matter of life and death than ever before. Avoid direct sunlight as much as possible. As a psychic medium, I can tell you that meditation is very important to my daily life. I must actively pray, and then passively listen to connect with God every day and also before every reading I do for a client. For me, prayer and meditation have always led to great answers, and fabulous levels of higher consciousness, but it is not that easy for everyone when they first start out. So many come to me unsure where to start. I have taught meditation classes and so many people entered my classes telling me that they can not get into meditation, and that they have tried with many teachers and failed. They say they can not get enough focus to do it. When they come to me with this lack of confidence, I usually ask them if they are hearing and understanding everything I am saying to them. Of course, they respond with a yes. I then tell them that if they can be passive enough to listen to me, they can apply that same passivity to meditation. You see, to stop thinking and just listen seems very simple when you think someone is in front of you trying to talk. Well, listening to spirit through meditation, doing a guided meditation, doing a sound healing meditation, or any of these things are the same. You just have to be passive as you would be when you listen to someone talk to you. Let go of all the thoughts in your mind, and simply listen. If you are meditating specifically to get information, then your prayer and questions to God should be your most active part , and that should come before the meditation. You actively thought about things and “talked” during your prayers. Now, simply get yourself in a comfortable position, become passive, and “listen” for response. You could get an answer through any sensation: hearing, seeing / visions, feelings, emotions, knowing, tastes, thoughts, you name it. The most active thing you should be doing during a meditation is to breathe…Just breathe. Now many have a problem with this too, because they have not learned to breathe properly. Proper breathing is the most important factor to any good meditation. The proper movements of inhalation and exhalation are fundamental to life. Proper breathing not only brings forth life energy, but it is healing to the depths of our soul. Through the simplicity of our breath, we can awaken our individual healing abilities, and feel a greater sense of completeness and well-being. Proper breathing not only can energize us, but it can bring us to higher levels of consciousness. Sit quietly for several minutes, either cross-legged on the floor or on a chair (without leaning against the back of the chair). Be sure that your spine is straight. As you sit, sense your weight being supported by the earth and allow the whole sensation of your body to enter your awareness and come to life. After five minutes, rub your hands together several times, put them over your navel, and sense your belly. How does your breathing respond to the warmth and energy from your hands? 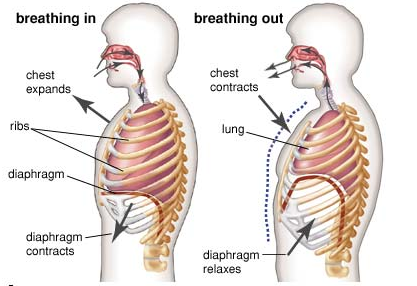 As you continue to follow your breathing, can you sense your belly expanding as you inhale and flattening as you exhale, without losing your awareness of the air as it enters and leaves your lungs? As you begin to observe more clearly these movements of your breathing, you may start to experience a sense of energy deep in your belly, at the level of about an inch or two below your navel. During inhalation, you may feel this energy filling your entire belly. During exhalation, you may feel the energy becoming more compact and concentrated. Really let yourself experience this expanding and contracting sense of energy in your belly as your breathing continues. Continue working in this way with your breathing for another five minutes or more. When you’re almost ready to stop, give yourself a couple of minutes to sense the energy, or at least some of the energy, being absorbed into the cells of your belly and back toward your spine. Then bring your attention back to the whole sensation of yourself just sitting there, breathing. Watch, sense, and feel everything that’s taking place, including your breathing, until you are ready to stop. See if you can sense yourself as a breathing being. Practice this breathing meditation exercise frequently. This is a beginners meditation and will help prepare you for other meditations in the future. For any meditation, it is always important to simply breathe and simply be. Try it out! You’ll be surprised how good it makes you feel. I will be doing radio shows on Spiritual Awakenings Radio to help teach everyone more about meditation very soon. I hope everyone can listen.